Davies: As “The Village Green Preservation Society” is supposed to be about things I want to preserve, I thought I would try that song. It’s on two levels, my love for custard pie. I loved cakes, for a start. 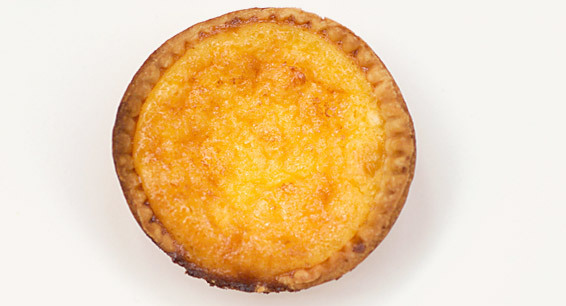 As a kid, I loved desserts—custard pie, in particular. Also it has another connotation. In music-hall theatre, the custard pie stands for receiving your comeuppance: getting the custard pie in the face. You never know when one’s going to crop up. So, in that sense, it’s a friendly way of doing it. I did it once to a DJ on a live TV broadcast on New Year’s Eve, 1978. There’s a much loved and much respected London DJ called Bob Harris. He went onstage to introduce the Kinks, and I went up with a custard pie and put it in his face. It’s a term of endearment. I have got one once, as well, on a kids’ plug program called Tiswas. One of the obligatory things is that you get humiliated in some form. It was aimed for the kisser, but I ducked and got a little of it on my jacket.